Whatever is your business, however you should have your business or services website, so people get search you across the internet about your business and your will get inquired about your business. 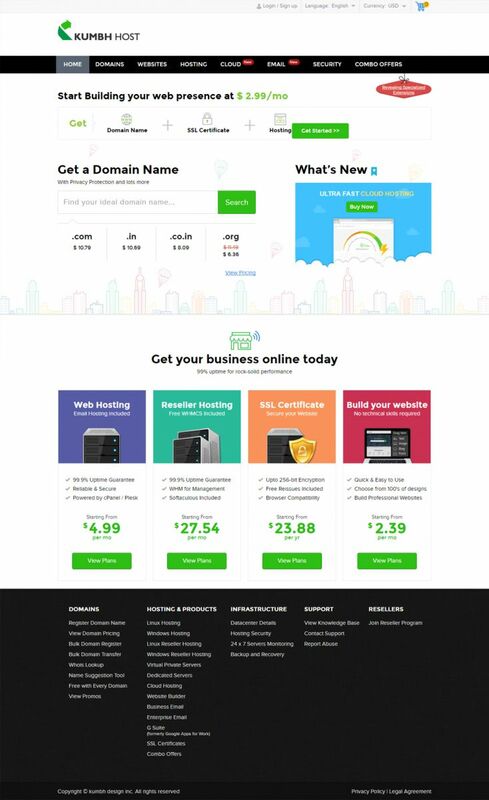 We provides corporate and small business domain registration as well as hosting services. You can choose your domain extension from .com, .co.in, .us, to any extension. Also you can choose best hosting plans according your need from dedicated hosting server to single domain hosting and email services. Our support team will definitely help you to setup your website make live on your webhosting server.